SonoSim recently released two new SonoSim LiveScan packages (Hepatobiliary and Genitourinary) which feature a variety of pathologic conditions, including renal, adrenal, liver, and pancreatic masses; gallstones, kidney, bladder, and ureteral stones; and polycystic kidney disease. Seven SonoSim LiveScan packages are now available (i.e., Trauma Care, Critical Care, Cardiac Resuscitation, Early- & Late-Stage Pregnancy, Hepatobiliary, and Genitourinary). Ultrasound educators can now use SonoSim® CaseBuilder to create over a million different combinations of ultrasound findings that can be used for ultrasound training and assessment. Most importantly, how does SonoSim LiveScan help train learners to integrate real patient-based ultrasound findings into medical decision making? Let us walk you through a typical scenario. As the standardized patient enacts the case history, the student starts to scan the patient by placing the probe on the abdomen of the volunteer pre-applied SonoSim® Tags in discrete scanning locations. In this way, the student scans the volunteer’s right upper quadrant, mid-abdomen, and other indicated ultrasound imaging windows. 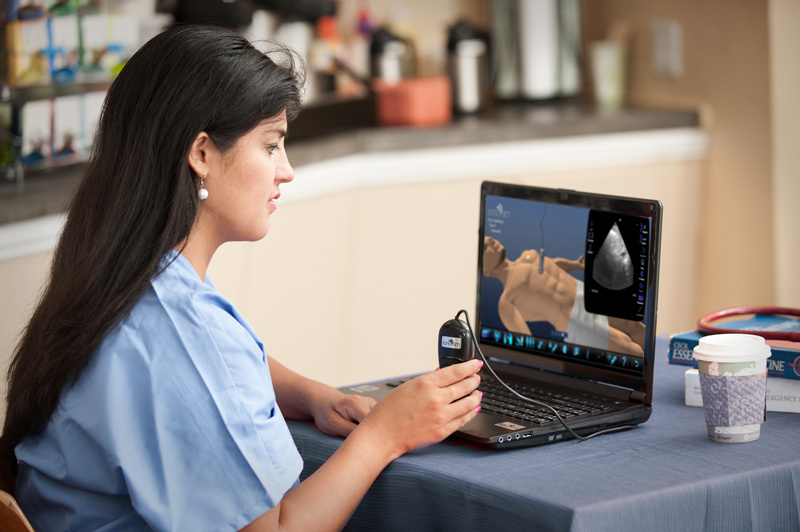 When the mock ultrasound probe is placed on one of the tags, a dynamic ultrasound data set appears on the laptop screen. Due to motion-sensing technology, the on-screen image continuously changes based upon the student’s movement of the ultrasound probe. So how does SonoSim LiveScan bring simulation to life? In less than one hour, the learner encounters a series of pathologic conditions that often require months-to-years of ultrasound scanning in a hospital before they are even encountered. 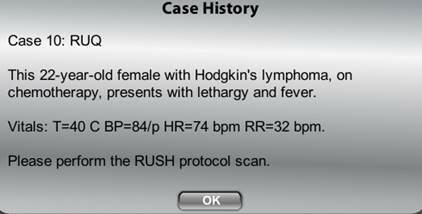 Importantly, learners are prompted to apply ultrasound findings towards a variety of patient care scenarios. Want to know how leading ultrasound educators are integrating SonoSim LiveScan into their residency programs? Read our case studies with the Department of Emergency Medicine at the University Manitoba and Internal Medicine Residency Program at Abbott Northwestern Hospital.